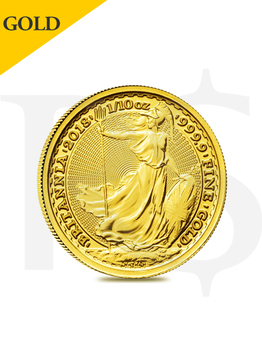 This thrilling 2018 Great Britain 1/10 oz Gold Britannia Coin is the newest release in the famous Gold Britannia series - the official gold bullion coin program guaranteed by the British Government. Coins will be in protective plastic flips. 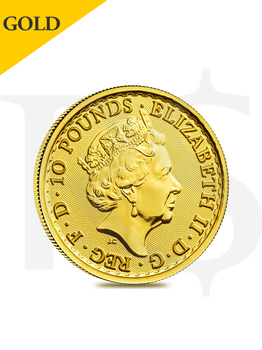 Obverse: Effigy of Her Majesty Queen Elizabeth II, along with the face value of 10 pounds. symbolized Britain’s strength and integrity on coinage since Roman times. 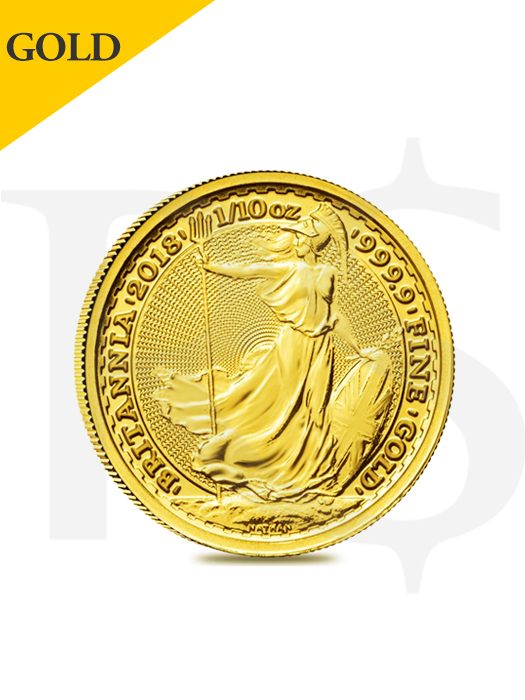 A radial sunburst design behind Britannia adds anti-counterfeiting protection Sovereign coin backed by the British government.